By the time you read this UH West Oʻahu graduate David McDowell (BA ’16) will be back in Afghanistan, most likely dressed in traditional perahan wa tunban and pakul clothing as he provides security for U.S. and other officials visiting remote mountain villages. Or he might be at Camp Vance near Bagram Air Base, resting up for the next day’s visit somewhere in the Kabul or Parwan provinces. It’s an intense, sometimes seven-day a week grind thatʻs far different from his days taking history classes at UH West Oʻahu. McDowell holds the title of Protective Security Specialist, a position thatʻs easiest to describe as the equivalent of a U.S. Secret Service special agent who provides security and protection for Department of State, Department of Defense, or Afghani officials who visit the distant villages to build a relationships with local leaders and help promote stability. He’s part of a program initiated by the Department of Defense known as the Village Stability Operations, which is aimed at improving security, governance, and development in certain rural regions of Afghanistan. The program recognizes local villages are sometimes a key to stability in some areas of Afghanistan and promotes relationships with village leaders. It some cases it might be helping them with health issues or water pumps or other efforts to improve their lives. In effect, the program recognizes that stability is difficult with a top-down, or central government in Afghanistan. Instead, some analysts favor a mix of central government and strong local village governance to stabilize the country. In his parlance, what McDowell does is known as close protection security. McDowell, often dressed in the indigenous garments during visits, will scan and assess for possible threats and quickly evacuate officials should an incident occur. In April, McDowell was providing security to a group in Kabul, when ISIS suicide bombers conducted two attacks nearby, killing dozens of people. McDowell said the reaction to such incidents isn’t to “pursue the fire” but to get their protectees to safety as quickly as possible. McDowell believes he got the job based on his decade of U.S. Marine Corps service, with two tours of duty in Iraq, including serving in a reconnaissance company and helping push the Mahdi Militia from the city of Najaf. 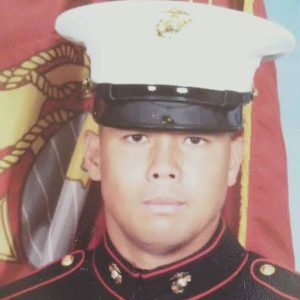 McDowell grew up in Wahiawā and graduated from Leilehua High School in 1996, enlisting in the Marines the following year. After his initial tour, McDowell said he took time off from the military to earn an associate degree from Honolulu Community College before re-enlisting. He eventually rose to Sergeant E-5 before leaving the service in 2010, returning to Hawaiʻi and enrolling at UH West Oʻahu. McDowell said he chose the school because he liked the smaller classes, closeness to his home in Wahiawā, and student body that included veterans and active duty military. He credited Associate Professor of History Jayson Chun, Associate Vice Chancellor of Academic Affairs Alan Rosenfeld, and Emeritus Professor of History Daniel Boylan as always being available for advice on a range of issues, from academics to matters outside of school. “They were there for me from the get go,” McDowell said. Rosenfeld, who served as a professor of history before assuming a new role, said McDowell stood out from the crowd. When it came to McDowell’s senior project, Rosenfeld assigned a rigorous reading load, to which McDowell added to on his own. Rosenfeld said the result was an impressive 43-page, thoroughly researched scholarly study of the evolution of Greek notions of democracy and citizenship over a 500-year period. “David possessed an extremely high level of self-discipline and pride in his work. He was very well organized and could be counted on to turn in assignments (of high quality) on time. He was also extremely self-reliant,” Rosenfeld wrote in an email. 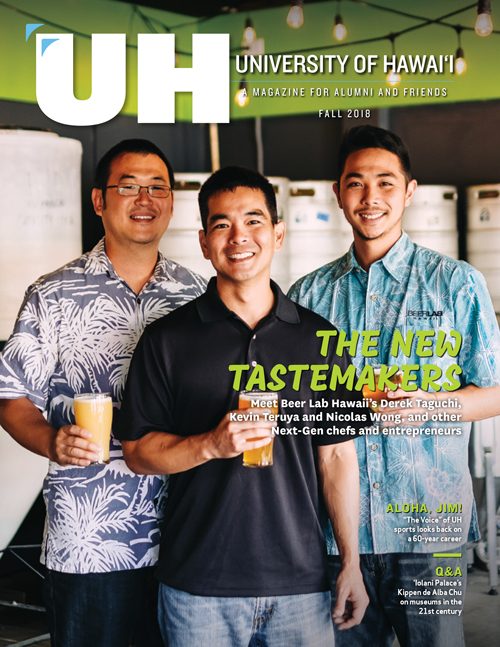 McDowell said he would recommend UH West Oʻahu to anyone, and says the school proved to be veteran friendly. 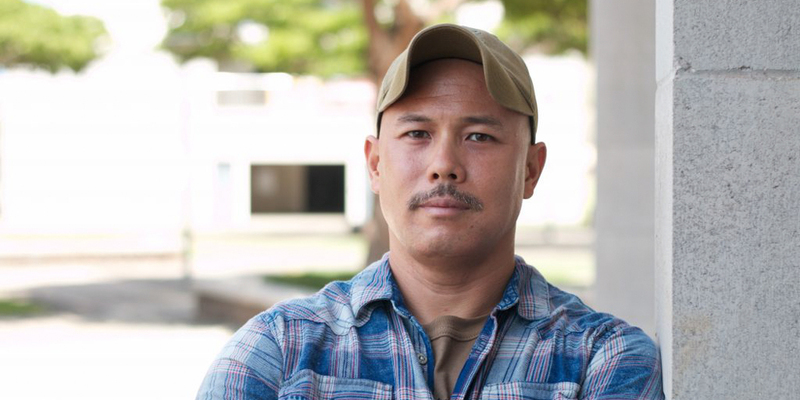 He admits, however, he thought about quitting at times (during his time at UH West Oʻahu he was deployed to Jordan for a year as a Marine Corps Reserve), but stuck with it. He said his resilience became an important lesson in itself. “My message to the students is you have to push through whatever,” said McDowell, explaining the determination to obtain a degree despite challenges helped build character and made him a more mature person along with helping him learn about more about dealing with adversity. After graduation McDowell obtained part-time jobs while waiting for something to come along. As it happened, he traded studying history to being part of it when he was hired by contractor SOC LLC for the Afghanistan work in June 2017. McDowell said the history degree has helped him in comprehending materials, being a better writer, speaker and analytical thinker. But the degree may also open a door to his life’s next chapter. He hopes to one day secure a position as a Diplomatic Security Agent for the State Department. McDowell said such agents are in charge of enforcing laws and overall security measures at embassy compounds worldwide. © All text copyright 2019. All rights reserved.